I’ve told myself that I need to write more. And I am. My idea of chilling on a Saturday is working in the kitchen — at the pace that I set for myself. I’ve managed to clear the dishes from the meals of the past few days (yes, I can be quite the slob when I have my über slow days!) bake a batch of chocolate cherry cheesecake brownies and bake a small cheesecake (leftover batter from the brownies!). The next item on the list of things to do today is make lamb kofta kebabs for dinner. I had a lovely lunch though. No cooking involved at all. Just opening packets. Packets of delicious goodness! My lunch was a cheese plate lunch. 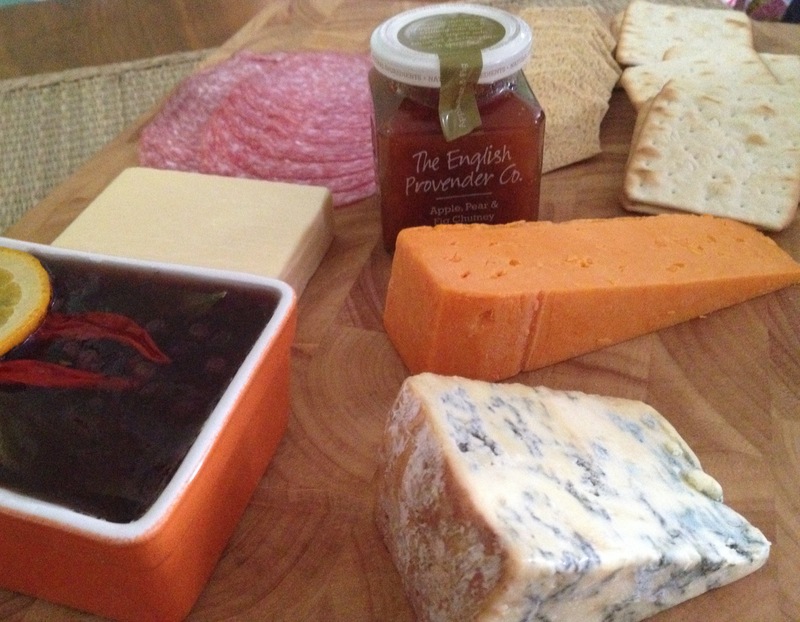 It was filled with all my favourite things: pâté, chutney, Stilton cheese, Red Leicester cheese, a mature Cheddar cheese, Milano salami and cream crackers and oat biscuits! It was yummy and relatively lighter than any lunch I’ve had the past few weeks leading up to Christmas and the bonus bit was this was all under £10 (plus I have enough leftovers to feed at least 5 more people – you gotta love post-Christmas food sales!)! It is now after 5PM and I need to start on my kebab mix! I hope everyone’s had a brilliant Saturday!